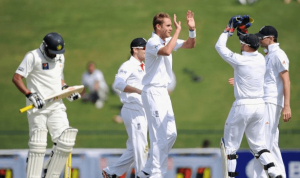 Over the years England have won 22 Test series against the Kiwis and lost just three, so there is every chance you will be celebrating come the end of the Third Test in Auckland. 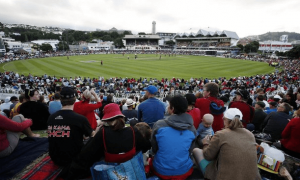 Follow the England Tour to New Zealand and you will get official match tickets, overnight return flights and accommodation in some of the country’s most luxurious hotels. The ICC Champions Trophy is returning home to England this June 2013, becoming the first and only country to host the Champions Trophy twice. A perfect opportunity to see the world’s best cricketers in action and to preview what England will bring to the Ashes later this year. England kick start the tournament on the 8th June by facing their Australian rivals at Edgbaston Cricket ground in Birmingham. Having won the last two series, England hopes will be high for a positive result in the Ashes Series in England. Arguably the hardest fought and most historic rivalry in world cricket, the sparks will fly, the wickets will tumble and the tourist’s will be out for a taste of revenge. Experience one of the oldest and most keenly contested sporting rivalries on the planet as the Ashes return to Australian soil for the first time since England won the series 3-1. Travel to Australia with and you will get guaranteed match tickets, all flights and transfers and stay in some of Australia’s most luxurious hotels. Escape the worst of the British winter with a February trip to watch England take on the West Indies. 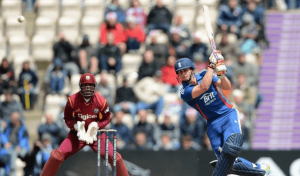 England will be playing five one-day internationals and one Twenty20 match against the Windies in what promises to be an action-packed and sun-drenched tour of the Caribbean. The ICC has announced that 16 teams will now compete in the tournament, making it bigger and better than ever before. Register your interest now for the ICC World Twenty20 Bangladesh and we’ll keep you informed before everyone else! Escape the British winter and head to Australia to watch the England Cricket Team take on the Aussies in the Triangular 5 ODIs. Expect a buzzing atmosphere where wickets will tumble, and the chance to witness two of the oldest ODI sides compete in an “all-action” affair. Register your interest now for the Australia v England (Triangular 5 ODIs) to keep up-to-date with the latest news and information. The ICC Cricket World Cup will be jointly hosted by Australia and New Zealand bringing 14 nations together in order to battle it out for the world’s number one champion title. Register your interest now for the ICC Cricket World Cup and we’ll keep you informed before everyone else. Combining a holiday to the Caribbean with an exciting Test series makes this the ultimate cricketing experience. Played under the warm Caribbean sun with gorgeous white sandy beaches and clear waters in view, there really is no better way to enjoy Test cricket. Register your interest for the West Indies v England (3 Tests) now and receive all the latest news before anyone else. This all-action tour in Pakistan is set to be full of excitement as England take on Pakistan in 3 Tests, 5 ODIs and 1 T20. Register your interest today to ensure you are first in the queue to receive all the latest news and information about this tour.